Hi, I wanted to know people's experiences with techniques from adventures beyond the body? I've been doing it for two days and this morning I got two vivid dreams (I forgot what the dreams were about). I'm trying to technique from this URL. I'm also rereading the book and am on chapter 3. Yes, I used visualization as well and in 3 weeks consistent nightly practice, I achieved my first AP. I struggled with all kinds of other techniques mainly meditation for years with no success. This was like magic. I almost could not believe it. So, keep practicing, but don't stop. It will take at lest 3 to 4 weeks for your inner energies to adjust so you will b e awaken at night during sleep by vibrations and sleep paralysis. This is what most people experience, but everyone is different. Do the technique every night until you fall asleep. And try to imagine you being at that other place as vividly as possible, walk around, observe the surroundings, touch objects, observe their textures, etc. I'm also reading the book for the 2nd time. I wish he wrote a book of journal entries. I also read adventures in the afterlife that was also good. I read the main story in 2 to 3 days and it was very good. I'm ordering a physical version because I had to take it back to the library. I'm also reading the book for the 2nd time. I wish he wrote a book of journal entries. William doesn't talk much, even in interviews, about his actual experiences. 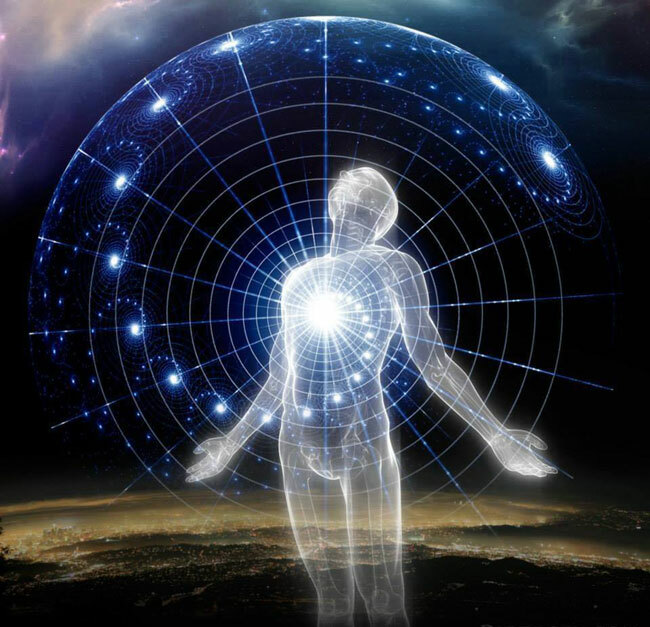 He is more into explaining what Astral Projection is all about and how to access it. I like his approach. To reveal his own experiences would have other people either trying to mirror/imitate it, "front loading", or even worse, trying to compare their own experiences against it. I do the same thing. I will help you to access a shift in consciousness but what you experience is between you and your "Higher Self"! Thanks for the reply. I know Jurgen Ziewe has a book about his experiences but to me it's boring. You're right about if he (Buhlman) doesn't want to share his experiences he doesn't have to. If you or anyone else could share their experiences with his system that would be nice. I might share them once I get an obe with it. When i first started projecting i found simply reading about aping before sleep seemed to assist greatly. Good luck! You can share experiences to demonstrate or exemplify something. This is when I do it. Otherwise it is in my view more service-to-ego. Also if it gets too 'fantastical' - although it might have been taken place - people might think you are a storyteller or just want to show off. There are quite a few out there on other boards or websites (not here) and we always need discernment. I indeed have a blog (but hardly use it) and had a kind of OBE-journal on a forum (AD) but I discontinued it in 2016. When I started it I then had used it more for myself to discuss and digest the experiences. My discussion section was therefore sometimes longer than the section with the experience described. And also I could draw some use from discussing it with other experiencers who wrote comments or comparisons. That was fine. Sometimes when you are new at this you need sharing and discussing your own stuff and what 'happens to you'. I feel this need no more. Also since my experiences have gone down somehow, of course. Tom Campbell is another example of s.o. not sharing his experiences for the do-it-yourself reason. I like that approach. But I also like Ziewe for his books somehow although they are not as helpful for learners. I am grateful to Will Buhlman because it was his first book and his techniques that helped me on the path of OBE induction in 2009. Can you recommend any books to read to aid with this? I've also found that watching interviews with ap authors on YouTube also works. Also, I was visualizing my cat and the room but it only lasted a few days. I now visualize a part of my community college while using my cell phone and saying to myself in my head while visualizing "My consciousness exists out of body" once I get tired and I also practice it a few hours before sleep. I've noticed I've been having 1 to 3 vivid dreams daily most of the time. Hey luffy28, I haven't read much of Buhlman yet but I can say when I read material or watch youtubes about AP it also heightens my chances of having an experience. You are definitely doing well and the only advice I have is to keep doing what you're doing. It's working. I've just now began reading Otherwhere and I agree that it does get a bit fantastical and is deeply colored by Leland's own perceptions. But really, what else can color our experiences with. Anyway I am enjoying it but also reserving my opinions and counter-balancing what I'm reading with my own experiences. Thanks. I also watch interviews and lectures from Buhlman and other authors. I first read his book from the library then I eventually bought a used version on Amazon for dirt cheap. The only thing is that I took almost a week and a half because it was shipped from the UK to me in the states. I've read it two or three times. I've also read adventures in the afterlife and am going to read it again once I can get it from my library again. Also, my library has that with higher self now. If you enjoy Astral related interviews, you will probably enjoy this one as well. This one is from basically an unknown, amongst the more famous Authors and names that speak and write on the topic. His enthusiasm is really uplifting. After hearing him, you really want to be a part of that "reality". Art Bell even tries to sway him to talk about the negative side of Astral projection, but Albert won't go there. Many people report their first success after they just heard a speaker or read something on the topic. Sometimes that's all it takes.I call that their first "sneak peek" or "bye"! Yeah, I've read his book to. It was good but the techniques were kindof lacking. I'll listen when I have time. I also wanted to know if I just wanted to do lucid dreaming would I have to have what I've dreamed about as dream signs? The reason I'm asking is that usually what I think about 1 to 2 hours before sleep usually is what I dream about. Another reason I'm asking is that I was reading exploring the world of lucid dreaming and the author said you have to have dream themes as the launching pad to lucid dream. I've been having dreams every day including today the 26th of December 2018 since earlier this month. In this manner I'm an "author" too with an LD book but I don't say that you need that. You just need to practice implementing your aim or intent before falling asleep. Well, I was always a conscious NPer and you can still be that conscious without realizing that you are in the NP. So you can be an observer, an active player and some other. But well, an LD is in general where you are aware of your experiences. So you should get used to the idea that you need to still yourself and then it changes. I can speak big textwalls about it, but why should we make it complicated? Just practice this before falling asleep, clear your mind and let yourself normally fall asleep with the last thoughts of becoming fully aware. No need for books really and techniques. Maybe just self-suggestions. Sometimes not really just the empty mind with the intent. You will see it. It doesn't work if you are full of crap in your mind. In the last week I'm full of that from my family tree and Christmas and I hate it but it will be over soon. It is enough if somebody disturbs your life or something and you can't get lost of that. Thanks for the advice. This is what's been happening to me most of the time. An example could be when last night (the 27th of December) I was thinking how much I was going to miss my government class. Instead of it being my regular professor it was Robin Williams that was my professor in a vivid dream. Since following the advice in adventures beyond the body and astralinfo.org all nights I've been usually having vivid dreams daily but not lucid dreams. The thing is, if you have a rushing mind and you go with that to the NP via falling asleep and without clearing it out with some techniques, you will have a big Focus 2 event chain and we can call it "vivid dream". I dropped the dream label years ago, I rather call these just NP experiences. I noticed for myself if the daily life supplies my with full of crap and I don't eliminate it, I won't be as "lucid" as to the degree that I can just walk out from the actual "place" where I gain my peak awareness. For example, this Christmas was a nightmare for me lol, family and others just sucked me out like hell and I started to regain myself as soon as relatives got lost this place. I hate it. So when events are coming like this or you have daily worries, these are dumped in the background. Another interesting thing what I noticed, if I only have a slight thought about indeed people, places, anything for some seconds while I try to concentrate on being fully aware once I fell asleep, you can guess what will be with me for days in physical terms. NP guidance also takes part in this, you need high awareness, work for it. It is not so easy all the time. I'm still figuring out the right mixture and tools to be as aware as in the physical but you can guess that a nightly 5-6 experiences which last for days, well you will be bored after a while or overloaded. So periods are coming when you lose the tail on purpose to have some pause. Not an easy thing to do. You just have enough for a while about leading your diary. This happened me for months lately and I'm slowly catching up. But my tools, thoughts and experiences are mine : ) We are not similar. For me, the best method to dissolve ALL noise is listening to music for 1-2 hours with earplugs in bed before falling asleep. Something needs to grab your attention. You do this all day long. I'm sick and tired of helping on question sites like Quora (before that Reddit) but I shared this there too. People just don't read back on useful answers and this reminds me about many questions there too about mind noise and falling asleep. I had some conversations a few times with a few people around me, family members, friends, they didn't get if being "lucid" leads you to much more, finding that awareness level, then it is "easy" to achieve. No it is not if you are bombarded with stuff. This is why I support Frank Kepple's view about becoming closed and passive in daily life, no opinions, no dramas etc but it is hard to achieve once annoying people and thoughts are there. I know Buhlman's work but he is very passionate with OBEs. He speaks about forgetting everything and all the flaws and he has his own doctrination lol. Be cautious. Yeah, thanks. Even in one of his lectures I watched last night, Buhlman said to question everything in his books and that your thoughts/outlook determines if you'll have an obe (or non-physical experience). We are all saying many things haha. I wanted to know if anyone could give me tips on how to manifest an obe np experience with these URLs? I also wanted to know if anyone could link me to interviews/lectures by other authors other than Buhlman? The reason being is that I'm running low on new material for him. I'm confused! Did you even read them? The answers to your questions, the "tips" your are looking for are already there! The first link gives you a 7 day program. Try it! The second link is loaded with great techniques. Pick the one you feel comfortable with and use it. It is already full of great tips. I just wanted to know for day 4 how to act as if I have already astral projected. Should I use a past np dream experience or should I make my own visualization? Experiment with both of them. Find out which one works better for you! I wanted to ask how do I get different results for obe interview with ap experts on YouTube? The reason I'm asking is that I'm getting repeat results of William Buhlman interviews I've listened to.